Oregon is an extraordinary place to study. Whether you are looking for a small, intimate campus community or prefer a large research university, among the members of Study Oregon you will find a school that matches your needs and inspires you to think in new ways. Study Oregon member colleges and universities are accredited by regional and national organizations and offer an outstanding array of high-quality programs and unique opportunities for students and professionals. Study Oregon members include both 2-year community colleges and 4-year colleges and universities. are 2-year public institutions. Public institutions are partially funded by state collection of taxes. have English as a second language (ESL) programs. offer Associate of Arts (AA) or Associate of Science (AS) degrees. offer the Oregon Transfer (AAOT) degree, which is the equivalent of the first two years of university education. With this degree, students can enter an Oregon public university and complete a Bachelor’s degree in two years. offer a variety of professional, technical, and vocational certificates. are a less expensive alternative to 4-year schools. have qualified and accessible faculty. may or may not offer on-campus housing. are classified as public or private institutions. offer Bachelor of Arts (BA) and Bachelor of Science (BS) degrees, which usually take 4 to 5 years to complete. may offer Master’s, Ph.D., post graduate and professional degrees. typically offer on-campus housing options and developed student life programs, sports teams and recreation programs. offer major programs including liberal arts, sciences, social sciences, agriculture, law, medicine, etc. often have English as a second language programs and conditional admission programs through ESL. This degree is granted upon the completion of a two-year academic program mainly offered at community colleges or two-year institutions. Course work earned is generally transferable to a four-year institution as partial fulfillment of the bachelor’s degree. This advanced degree is granted upon completion of one or two years of course work following the completion of a bachelor’s degree and may or may not require research and a written thesis. This highest degree is awarded after approximately three or more years of course work and a written dissertation that demonstrates an original contribution to knowledge. Intensive English language studies that may include TOEFL preparation and other types of academic preparation (e.g. conditional admission, pathways programs, GRE and GMAT preparation). Oregon Values the International Baccalaureate (IB)! the Oregon public university and college websites of interest. Many of Oregon’s private colleges and universities also value and reward the International Baccalaureate, so be sure to inquire! 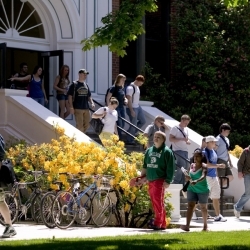 The Oregon University System consists of seven high-quality public institutions, enrolling 115,000 students from Oregon, the U.S., and around the world. Dedicated and accomplished faculty, staff and students are engaged in cutting edge teaching and research that represent more than 300 distinct programs including the arts, sciences, engineering, business and health professions. 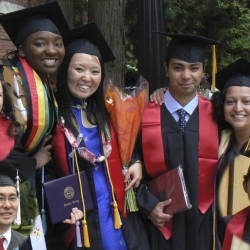 Oregon’s non-profit private colleges and universities provide world class higher education to nearly one third of the state’s four-year college students and also attract many young people from around the nation and the world. 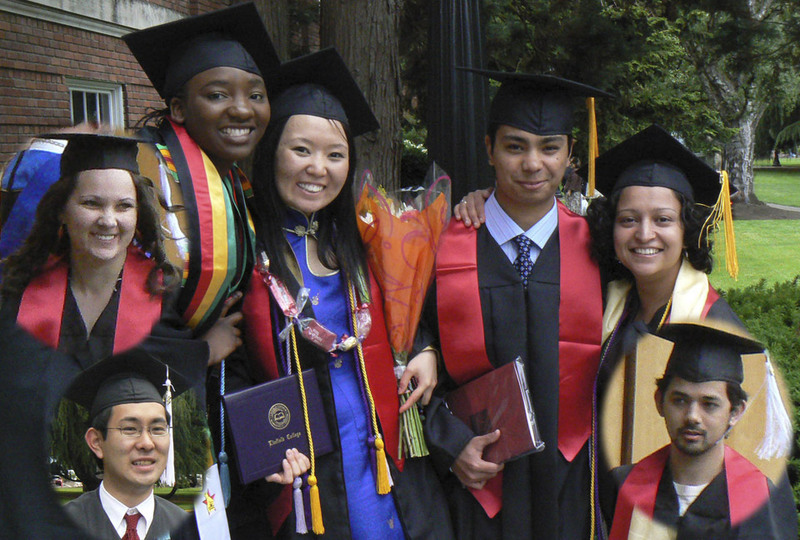 This diverse group of institutions includes some of the nation’s top undergraduate liberal arts and sciences institutions, many of which also offer excellent graduate programs in a diverse range of areas such as business and law. Other schools provide specialized two- and four-year degree programs and even shorter term certificate programs in a wide variety of professional and technical areas. Oregon community colleges have long been recognized as innovators in preparing students for transfer to four year institutions and in providing workforce education. Key qualities that define Oregon’s community colleges are the smaller sized university-level classes and lower tuition rates which they offer to students of all ages from across Oregon and the globe.